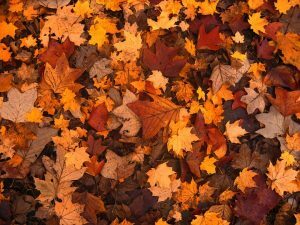 There are so many fun crafts and decor you can make with just the leaves that have fallen in your yard. Let’s be honest, besides the beautiful colors of the leaves and the fun of diving in them, they’re mainly just another thing to clean up. A little glue and glitter goes a long way to add some zest to your pest. Not only do you get a cool autumn piece for your home, but it’s a great chance to bond with the kids, family and friends. Welcome Sign– Adopt a Christmas tradition for the fall and make an autumn leaf wreath. You can make one in the traditional circle or you can grab your favorite welcome sign for the door and decorate the perimeter with the colorful leaves. Leaf Candle Holder– You won’t regret this craft when the flame shines through the Mason Jar and it illuminates all of the beautiful hues of the leaves. Autumn Tote– Do you remember putting a leaf under a sheet of paper and scribbling over it to see the imprint? Same concept. Great craft for kids to have an awesome tote to showcase at school. Forget Carving Pumpkins– Tired of carving pumpkins and having them rot? This year try painting a pumpkin and adding some traced leaves from tissue paper. Looks great for the spooky holidays or for a fall home accent.